Cybersecurity has become a national security priority for the US government. (thedigitalbridges.com). Lastly, in the past various federal agencies had separate cybersecurity systems. As a result, real-time cybersecurity information could not be shared between agencies. However, the Obama administration created the Cyber Threat Intelligence Integration Center (CTIIC) to promote inter-agency cybersecurity data collaboration. Thus, the CTIIC has begun to address this issue, though additional communication between agencies is still needed. 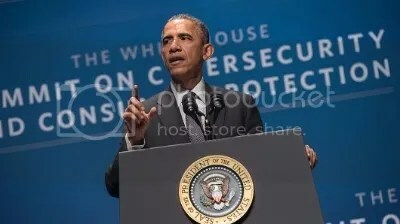 President Obama discussed cybersecurity at Stanford University in 2016 (Nicholas Kamm, AFP, Getty Images). It is clear that cybersecurity offers President Trump a difficult challenge. He must lead the development of a new government method to protect sensitive information. With that in mind, there are three components that should be included in the president’s cybersecurity policy. First, Congress must appropriate spending for upgrading government information systems. Like President Obama’s 2016 request, funds should be directed toward hardware and software updates with oversight from an appointed committee. With this, the government would take steps toward graduating to contemporary cybersecurity infrastructure. Second, the government should continue to collaborate with Silicon Valley companies to combat cyber threats. With its wealth of engineering talent, Silicon Valley ingenuity should be paired with the vast trove of government cybersecurity information to build a comprehensive digital defense. This would include expanding current relationships between Washington DC and Silicon Valley and offering tech companies worthwhile financial incentive to participate. Lastly, government agencies and the private sector must take additional steps to share information. This would include establishing an integrated interagency platform for sharing real-time cyber threat data. Also, agencies must remain in personal contact with private sector companies to establish trust and a system for information sharing and problem-solving. With this, the government and private companies would remain informed and able to respond to cyberattacks. In all, the speed of modern technology has left the government behind on cybersecurity. Although federal agencies possess nearly unlimited resources and dedicated employees, the slow nature of the federal bureaucracy precludes rapid response to cyber threats. In order to catch up, the government must invest in new infrastructure, collaborate with private sector enterprise and open its trove of security data to participatory use by all agencies. If not, the most powerful country in history risks falling victim to a keystroke from a single person with coding experience and malevolent intent. Office of the Press Secretary (2016). Statement by the President on the Report of the Commission on Enhancing National Cybersecurity. The White House. Retrieved from https://obamawhitehouse.archives.gov/the-press-office/2016/12/02/statement-president-report-commission-enhancing-national-cybersecurity. Davidson, J. (2016). Federal Cyber Incidents Jump 1,300% in 10 years. The Washington Post. Retrieved from https://www.washingtonpost.com/news/powerpost/wp/2016/09/22/federal-cyber-incidents-jump-1300-in-10-years/?utm_term=.4f1130ddd5a5. Volz, D. (2016). US Government Worse Than All Major Industries on Cyber Security. Reuters. Retrieved from http://www.reuters.com/article/us-usa-cybersecurity-rankings-idUSKCN0XB27K. McCoy, K. (2016). Cyber Hack Got Access to Over 700,000 IRS Accounts. USA Today. Retrieved from http://www.usatoday.com/story/money/2016/02/26/cyber-hack-gained-access-more-than-700000-irs-accounts/80992822/. Davis, J.H. (2015). Hacking of Government Computers Exposed 21.5 Million People. The New York Times. Retrieved from https://www.nytimes.com/2015/07/10/us/office-of-personnel-management-hackers-got-data-of-millions.html. Pepitone, J. (2015). Federal Data Breach: Can the Government Protect Itself from Hackers. NBC News.com. Retrieved from http://www.nbcnews.com/tech/security/federal-data-breach-can-government-protect-itself-hackers-n370556. Fortune. (2015). 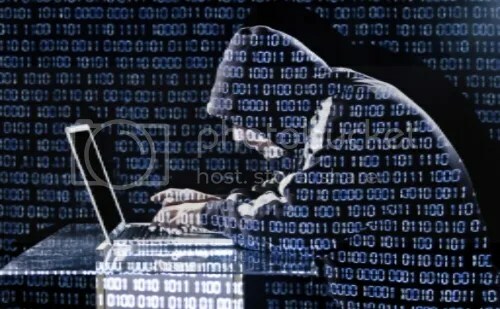 US Launching a New Cyber Security Agency After Sony Attacks. Fortune Tech. Retrieved from http://fortune.com/2015/02/10/u-s-launching-a-new-cyber-security-agency-after-sony-attacks/. Zezima, K. (2015). Obama Signs Executive Order on Sharing Cybersecurity Threat Information. The Washington Post. Retrieved from https://www.washingtonpost.com/news/post-politics/wp/2015/02/12/obama-to-sign-executive-order-on-cybersecurity-threats/?utm_term=.af5c15c0004b. Washington Post. (2017). Read the Trump Administration’s Draft of the executive Order on Cybersecurity. The Washington Post. Retrieved from https://apps.washingtonpost.com/g/documents/world/read-the-trump-administrations-draft-of-the-executive-order-on-cybersecurity/2306/. Dillow, C. (2016). Obama Unveils National Cybersecurity Action Plan. CNBC. Retrieved from http://www.cnbc.com/2016/02/09/obama-unveils-national-cybersecurity-action-plan.html.